No family has dominated the history of East Hampton more than the multiple generations of the Gardiner family. For over three centuries they have been at the epicenter of this community. Their legacy today is easily seen in their extraordinary real estate holdings, many of which define Main Street and beyond. 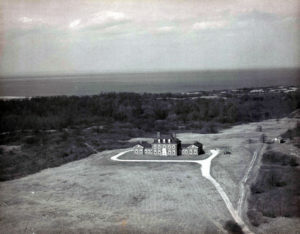 Gardiner’s Island, the longest family held estate in America, continues as their private compound. The Winthrop Gardiner estate at 95 Main Street, now home to the LVIS, was once an expansive in-town compound in its own right. Join us for an illustrated look at both iconic Gardiner family properties. RICHARD BARONS is the senior curator and former executive director of the East Hampton Historical Society. CHIP RAE is a member of the East Hampton Library Board of Managers and a former Trustee of the East Hampton Historical Society. This is his second year as chair of the Tom Twomey Series. 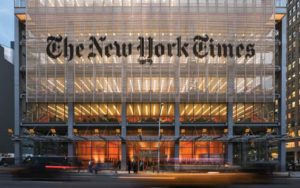 New York Times media columnist Jim Rutenberg offers a behind-the-scenes look at the breakneck pace of journalism in the Trump era and the challenges of the shifting media landscape. Interviewed by NYU Journalism professor, and Board member Brooke Kroeger. JIM RUTENBERG is the Pulitzer Prize-winning New York Times media columnist, a writer-at-large for the New York Times Magazine and a former national political correspondent for the newspaper who co-led the newspaper’s coverage of the 2012 presidential campaign. Before joining the Times staff in 1996, he worked for the New York Daily News and as the television reporter for the New York Observer. BROOKE KROEGER is a professor of journalism at New York University and a senior fellow of the Schuster Institute for Investigative Reporting. Her five books include the biography of Nellie Bly, Undercover Reporting, and most recently, The Suffragents. Renowned prognosticator Byron Wien, US strategist at Morgan Stanley for 21 years and senior adviser to Blackstone Group, has been one of Wall Street’s most influential strategists for decades. In this talk, he’ll share his wisdom in the form of life lessons and will touch on his annual “TenSurprises” list, citing his economic, financial market, and political predictions. Interviewed by Ron Baron, founder of Baron Capital Management, this is sure to be an insightful hour, spent in the company of two of the country’s most well known investment gurus. BYRON WIEN Chief US strategist at Morgan Stanley for 21 years, Byron Wien has spent the last nine years in a parallel role at the Blackstone Group. 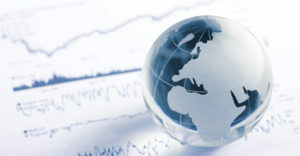 As a renowned Wall Street observer and economic commentator, his market views have been widely followed for decades, as have his year-ahead predictions and thoughts on life lessons. RON BARON is an American mutual fund manager and investor. He is the founder of Baron Capital, a New York City-based investment firm that manages the Baron Funds, which he also founded. Alfonso Ossorio—artist, collector, and heir to a Philippine sugar fortune—expanded the consciousness of the East End arts community in its heyday, through his genius for the avant-garde. With his long-term partner Ted Dragon, they lived a storied life at The Creeks, their 57-acre estate on Georgica Pond. Their home became a mid-century center of the modern arts community which included Jackson Pollock and Lee Krasner, Willem de Kooning, and many others. Join us for this discussion with artist Mike Solomon, the leading expert on Ossorio and his one time studio assistant. An art exhibit by the event speaker, “Mike Solomon: Variations,” will open at the same time and will be on view through October 12, in the Tom Twomey Gallery, adjacent to the to Baldwin Family Lecture Room. The exhibit will feature more than a dozen paintings and works on paper using non-traditional media such as resin and polyester films. Solomon’s work explores pattern, decoration and chance using three different compositional formats: plaid, cross-hatch, and Bokehs, which appropriate a photographic technique. MIKE SOLOMON Mike Solomon has helped many artists and estates on the East End organize and preserve their art legacies. Solomon was the founding director of the Ossorio Foundation, and is the leading expert on Alfonso Ossorio. While maintaining his own career as an artist, he writes and lectures on various aspects of art and artists. His work is in many distinguished collections including Guild Hall Museum, the Parrish Art Museum, The John and Mable Ringling Museum of Art, Richard Meier, Pricilla Rattazzi, Beth Rudin DeWoody, Dan Flavin Jr. and Edward Albee. Solomon maintains studios on the North Fork and in Sarasota, Florida. The long-time chairman and former CEO of Starbucks rose from humble beginnings in Brooklyn public housing to growing Starbucks into an $84 billion business—revolutionizing the coffee industry along the way. His leadership at Starbucks has long been marked by a sense of social justice and strengthening communities through human connection and social innovation. When he transitioned to Chairman in 2017, his focus on social impact initiatives continued, as he remained true to the company’s mission to inspire and nurture the human spirit one person, one cup and one neighborhood at a time. His legacy redefined the role and responsibility of a for-profit, public company, proving that a business can exceed expectations by sharing success with its people and the communities it serves. He currently serves as Chairman Emeritus of Starbucks. HOWARD SCHULTZ was the CEO of Starbucks from 1986-2000 and again from 2008-2017, as well as its executive chairman from 2017 to 2018. He is a former owner of the Seattle SuperSonics. He was a member of the Board of Directors at Square, Inc., and a co-founder of the investment group, Maveron. He currently serves as Chairman Emeritus of Starbucks. ANDREW ROSS SORKIN is a journalist and financial columnist for the New York Times and co-anchor of “The Squawk Box” on CNBC. He is also the author of the book, Too Big to Fail. In the last several years, dozens of microbreweries have opened on Long Island, with some of the best located on the East End. Join us for this panel discussion of the local craft beer boom with three leading East End brewers, as we explore the rapid growth of this new regional industry. After the talk, enjoy a complimentary tasting of each brewery’s offerings in the Library’s courtyard. VAUGHN CUTILLO is head of marketing for the Montauk Brewing Company and a co-founder of the establishment with his friends, Eric Moss and Joe Sullivan. The company, now in its fifth year, is among the country’s fastest growing craft breweries. RICHARD VANDENBURGH is a co-founder of Greenport Harbor Brewing Company, having left a career in law to co-found the company with his college friend, John Liegey. He has been a member of the Board of Directors of the New York State Brewers Association since 2013 and is presently in his second term as board secretary. He is also president of the Greenport Village Improvement District and a board member of the Long Island Farm Bureau, the North Fork Promotions Council, and the Greenport American Legion. LAURI SPITZ, with her husband, Matthew, are the co-founders of the Riverhead-based Moustache Brewing Company, which opened its doors in April of 2014 and expanded last year to a seven barrel brew house, nearly quadrupling the company’s capacity. Join us for an illustrated lecture presented by Charlotte M. Frieze, a noted garden writer, frequent lecturer and artist. 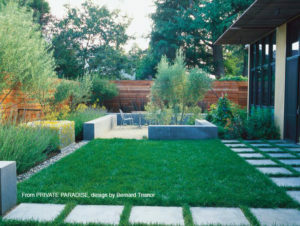 She is a Fellow of the American Society of Landscape Architects, a member of the New York Botanical Garden Horticultural Committee, and author of Private Paradise, Social Gardens, and The Zone Garden series. The lecture will be followed by a tour of several nearby East Hampton gardens. Tour locations will be announced at the library after the lecture. 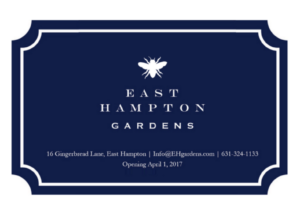 Sponsored by East Hampton Gardens.